The fastest Bat Out Of Hell was run and won by Tornado Alley running a fast 49.66 seconds for the 900 metres. This is also the course record for the Gold Coast Turf Club’s 900m and has been held since 2008. In 2017 Prompt Return for local trainer Toby Edmonds came close, running a slick 49.86 seconds. Last year Kris Lees with Guard of Honor ran 49.75. Can the record be beaten this year? 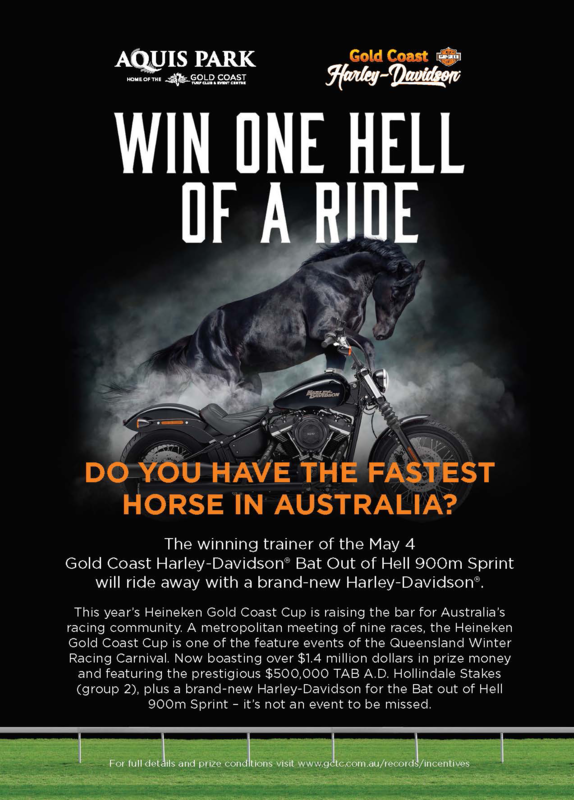 With the addition of a Trainer’s Bonus of a Harley Davidson and the enticement of Australia’s richest fastest race, horses will travel from near and far to run in the $105,000 Bat out of Hell.